Who hasn’t heard about Steve Irwin? Even though I’m not a crocodile fan, I still watched his show sometimes because his enthusiasm and obvious love for his work pulled me in. His wife was always in the background. 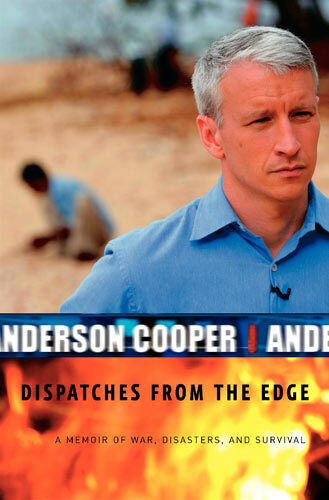 I never gave her much thought and I wondered what this book might have to say. But I was pleasantly surprised. Terry has her own charm and genuineness which comes across through the pages. Terry met Steve when she visited Steve and his parents zoo in Australia during a vacation. After a few months they got married and Terry moved to Australia to be with him. She had her own business, worked part-time at an emergency veterinary hospital and operated a wildlife rehabilitation organization called ‘Cougar Country’. So she was, before she met Steve, a wildlife warrior in her own way. After she met Steve she was introduced to a bigger world and a passion for Wildlife that matched or even surpassed hers. She was with Steve when he wasn’t with Animal Planet and wasn’t famous. She assisted Steve in his crocodile hunts and helped him manage the zoo. Through Steve and Me, I got to know a Steve who was as passionate and dedicated as we know him but we also got to know how emotional and vulnerable he was. I was especially touched when Steve cried because he couldn’t save one of the crocodiles from the hunters. He did not limit his love only to Crocs, he loved every animal out there and worked for their welfare. There were also a lot of things that I learnt from this book. The one that gave me goose bumps was when Terri described what Crocodile farming was really like. 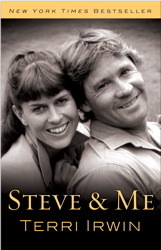 She also writes about the time Steve was surrounded by controversies-once during the Whale shoot and another during the time he did a croc show with his daughter Bindi in his arms as an infant. It’s disheartening to know what kind of stories people cook up to create sensation. I feel that Steve’s death, other than the loss to his family, also robbed the world of a wildlife warrior, the kind who would be difficult to find again. I hope his children have the same passion and energy he had and take his legacy forward. In terms of writing, this book is as simple and straightforward as it gets, but I feel it doesn’t need frills and flowery language to describe what an amazing man Steve was. Highly recommended.